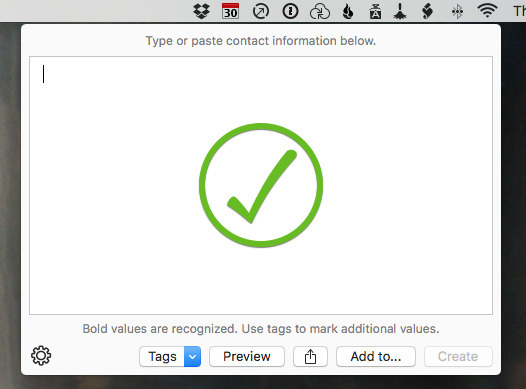 You can copy from anywhere, so you'll end up using it when you get emails with contact details in the signature. That's less useful because Apple Mail has strong data detectors —it spots a phone number and can add it to Contacts for you. 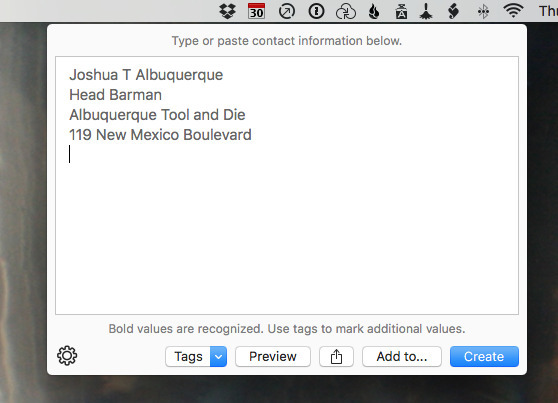 Except with Interact Scratchpad, you can take a mass of text from another app and let itself sort through for relevant information. 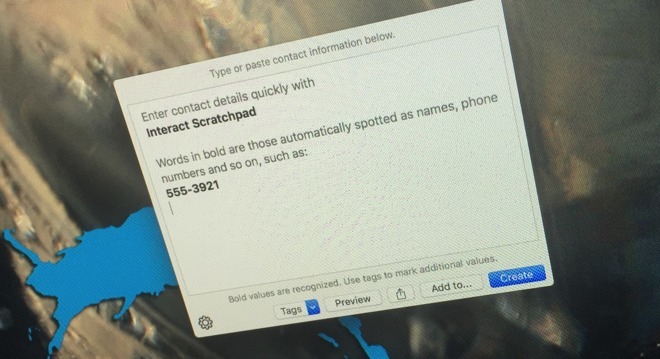 This scratchpad feature requires iOS 10.0 or higher and the $3.99 Interact Contacts for iOS app by the same developer —and it is the best feature in that. The Mac one is actually better, however, in that all the options you'll need are right there in front of you. With the iOS app you have to swipe and tap more: it works fine but it's not as fast.